Whole leaf tea individually packaged in pyramid shaped sachets.. Sachets are compostable, and clear sleeves are made to decompose. 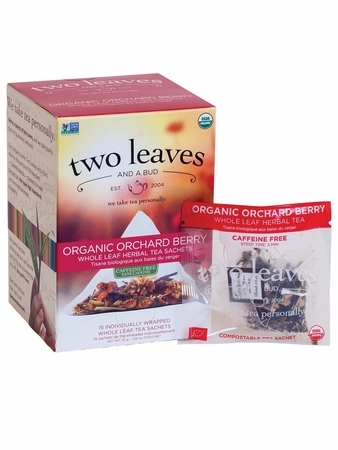 These delicious tea sachets are all organic. Peppermint Crisp, buttery, mint. Caffeine free. Orchard Berry Fruit, flowers, sweet. Caffeine free. Chamomile Sweet, flowery. Caffeine free. Assam English Breakfast Lush, malty.